An electric scooter can solve world’s most complicated problem of pollution. The scooter rental services are seen to be spreading all over the globe. They have even made their mark on the country of New Zealand. Electric scooters have landed in two largest cities of New Zealand- Auckland and Christchurch. Advantage for electric scooters service providers in New Zealand? The advantage of using electric scooters is that they do not disrupt the existing transportation system. Another advantage is that people can depend less on cars and avoid harming the environment. This will also preserve the natural beauty of the country. What is the speed and cost of riding and where can you ride these e-scooters? They can travel at speeds of up to 27 kmh and have a maximum range of 48 km. They can be rented using an app with the rate of $1 to unlock and 30 cent per minute. The scooters are categorized as low power vehicles and can be ridden in a wide range of places. People can ride the e-scooters on footpaths, road or cycle paths but cannot be ridden on bike lanes on the road. Lime was targeting Auckland from a long time and on priority. According a report, e-scooters by California-based Lime are dropped on the streets of New Zealand. Around 400 and 500 scooters are spread throughout Christchurch and Auckland respectively. It is predicted that these numbers will touch the limit of 1000 in the near future. They need the riders to be of 18 yrs of age to use them. Lime has revealed a map where the scooters must be within when a trip ends. It covers almost all the Christchurch city. How do the dockless scooters of eScooter rental service provider’s work in New Zealand? Dockless share offers rental electric scooters that you can pick up and park around the city. The dockless escooter sharing is not like traditional bike rental services where bikes are docked to fixed location. Customers can locate nearby bikes and e-scooters and pay for rides online. The electric scooters are rented per trip and are tracked via GPS. Once the trip is completed they can park the e-scooters besides the cycle racks or in public spaces safely. The e-scooter operators and owners need to take the responsibility that the scooters do not cause a nuisance to pedestrians and other public. Each operator is needs to provide contact details on the e-scooters so users and the public can contact them about any issues. Lime has worked closely with the transport agency to help and ensure safety concerns were properly addressed. They provided online resources, printed stuff and helmets. They are also offering safety and educational videos to bring awareness to the riders about how to properly use and park electric scooters. Their aim to make sure that the rides are environment friendly with a lot of fun. How will the e-scooters benefit economy of New Zealand? The electric scooter rentals are not only limited to providing emission-less mobility to New Zealand. Electric scooter has brought an employment opportunity to the city of Auckland and Christchurch too. On the first day of launch, over 50 operation specialist were hired by the e-scooter rental company- Lime. It is expected to bring many meaningful employment opportunities to all of its diverse markets. 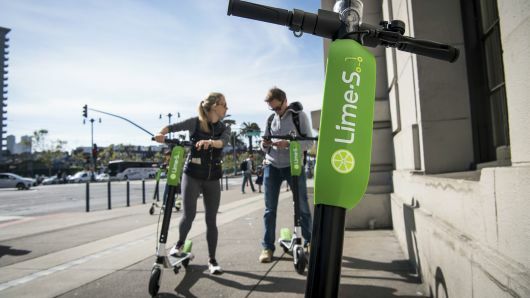 According to sources, Lime will be using locally-contracted Juicers to pick up and charge the scooters overnight. Once you decide that you want to start your own e-scooter business in New Zealand, you need to apply for a mobile trading licence from the city council before you launch.The city council and will determine how many operators and numbers of e-scooters are appropriate for you to drop on the streets. The trading licence will help the council to be ensured that you are providing a safe service and your services are not causing a hindrance in the lives of public. Your licence will include a code of practice that the council provides to make sure your services are safe and complaint. Want to develop a mobile app for your electric scooter sharing business in Auckland and Christchurch? Mobile app plays an important role in making sure that you are accessible to your target audience. To establish your business, you need a mobile app which is attractive and has ease of use. Coruscate is a company which has entertained many enquiries about escooter mobile apps and has provided unique solutions to each of our clients around the world. Our talented team of developers can develop an electric scooter rental app according to your particular requirements. Get in touch with us to provide excellent e-scooter rental service with enhanced user experience.